We love a Breton top and we can’t resist this red striped Persona version. 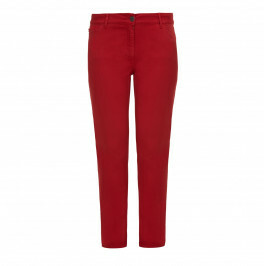 Pair with red jeans and white trainers for a fresh daytime look. Red and white striped t-shirt. 95% Viscose, 5% Elastane. Cold Hand Wash or Delicate Dry Clean.